Thank you for choosing ILance, this documentation will be your guide while you tour and become familiar with your new Marketplace website using the latest ILance 5.0. 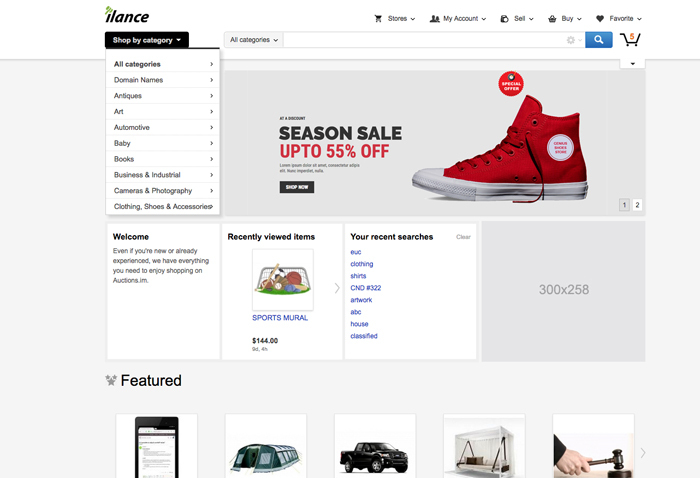 The ILance product marketplace provides a familiar and user friendly buying and selling environment for single or multiple sellers to upload products for sale via timed auction event or buy it now purchase. Buyers will use the intuitive category and search system to find their exact desired items to save, bid or buy now.